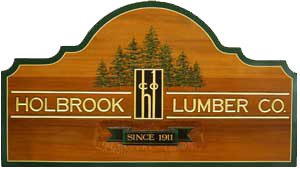 Founded in 1911, Holbrook Lumber Company is a distributor of high quality lumber & building materials to independent retail lumberyards throughout the Northeast. Based in Guilderland Center, NY, Holbrook operates a sales and distribution center along with our pressure treating manufacturing plant in Colonie N.Y. Holbrook Lumber prides itself in servicing customers throughout New England, New York and New Jersey for well over 100 years and counting! At Holbrook Lumber we believe our greatest advantage is in the quality of people that choose to work here and how long they have remained! We strive to hire the best the industry has to offer in all areas and keep them here by providing opportunities for personal and professional growth. Mike Negus who heads the Purchasing Dept. is a 40 plus year veteran. Mike Clough who manages our warehouse and oversees the order fulfillment and loading department has almost 30 years on the job. Dave Catlett one of our outside sales reps has been with Holbrook over 20 years. Our inside and outside sales and service reps have an average of 25 plus years of building materials experience! Let our industry knowledge go to work for you and your customers. Whether you need assistance within our product line or in sourcing specialty products you can count on the Holbrook team to be with you every step of the way.